Gus the dog came into my clinic with a mysterious injury. He had a small hole in the left side of his chest, a small hole in the right side, plus a small hole and bump palpable inside the right elbow. The X-ray showed a bright round mass at the elbow- it is the circle in the right of the picture. Anything that is very dense and is highlighted by X-rays would show up. For example, a piece of wood, does not show up well on X-ray. But things like lead do. Yes, Gus was shot- likley by a 22 caliber gun. The bullet travelled from the left side of the chest, through the lungs, beside the heart, then through the right side of the chest, and lodged in the tissue beside the right elbow. Gus was very fortunate- he really only had superficail injuries. If the bullet had hit his heart, then he would have died. In surgery, I closed up the chest wounds, and removed the bullet. Of course this still begs the question- who in their right mind would shoot a dog? He is very friendly, and he was wagging his tail while I palpated his injuries. His owners had said that he has a fondness for compost, and there are some unfriendly neighbors. But can you imagine what kind of person it takes to kill a friendly dog for being in the compost? Someone who should be charged. If they had done this with a person, then it is attempted murder. Because they have done this to a dog, there are no consequences. They don’t know who fired the bullet, and as a society, we aren’t placing any real consequences on the shooter. If it mean’t serious jail time, then perhaps they would have thought twice. Yet another example of how far we need to go as a society in protecting basic animal rights. P.S.?? Gus was fortunate, as he is now fully recovered. P.P.S. In this example with Gus, you would still have been able to provide some intermediate care before you saw a veterinarian. You would have been able to assess just how serious it was- but you would need my course. My Complete Home Study Multimedia Course is BIG, and here is everything inside..
* The Veterinary Secrets Revealed Hard Copy Manual has pictures of each problem which are placed immediately above the description of the problem to make it easy to select and follow the right treatment plan. * Detailed At Home Exam DVD – This Video makes it simple for you to become instantly proficient in being able to examine and diagnose your pet at home. 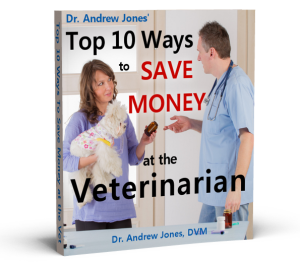 * A Step by Step Walkthrough presentation CD-ROM gives you even more information into how Dr Jones diagnoses these diseases, and the most important remedies that he uses daily with his clients pets. * The Entire Veterinary Secrets Revealed Multimedia Course on 5 Audio CD’s allows you to hear about all the specific illnesses and remedies while driving to work or listening to your iPod. * The Veterinary Secrets Revealed Pet Health Manual on CD-ROM has topics that are listed in the table of contents in alphabetical order so it’s easy to find information on your own pet’s particular problem. * The Veterinary Secrets Revealed Hard Copy Manual has a detailed index at the end of the book which takes you right where you need to go when you’re searching for more detail. In an emergency, you need to be able to find what you need instantly. I Even Offer An Easy Payment Plan! My comments probably won’t be looked upon very favourably but I feel that Gus’ owner must share at least SOME of the responsibility for what happened to poor Gus. This incident raises several issues, the least of which is the issue of respect for private property. I don’t mean to defend the actions of the perpetrator, not in the least, I absolutely abhor what he/she did and it is inexcusable, for any reason! I realize that Gus lives in the country and that most country dogs still run loose and unsupervised according to past habits of country living. But, simply because something was done a certain way for a long period of time, doesn’t make that thing right (otherwise slavery would never have been abolished!). I was raised in the city in the late 50s/early 60s and a lot of dogs ran loose here too back then but they don’t anymore due to city by-laws, and rightly so. No one needs other folks’ dogs and cats digging up their gardens, getting into garbage, or having to clean up after anothers’ pet’s do-do on one’s own property, especially when one doesn’t even have a pet oneself! Farmers would not consider letting other animals in their possession run loose about the countryside, eating other peoples’ crops, digging up property, getting into others’ garbage bins or causing a hazard on the roads…why then should dogs and cats be allowed the same? growing up living and working on the farms of my relatives, whose dogs also ran loose – and I saw far too many of them I killed on the country roads. These weren’t highways or even secondary highways either…these were just your basic gravel country roads. Furthermore, the world is not as friendly a place now and living in the country is not all that much different anymore than city living in many ways today. Used to be that one could leave one’s door unlocked living in the country, we did in the city too back then, but again, not anymore. We live in a different world. I agree that punishment with regards to mistreatment/cruelty of animals is sadly lacking and certainly not even close in equal measure to the crime. This still does not belay the fact that it is the individual pet owners’ ultimate responsibility to keep pets safe, not society at large. If he/she truly cares about Gus’ welfare, they will learn a valuable but hard-learned lesson from this incident and end Gus’ roaming days as someone in the area clearly resents Gus’ intrusion on their private property and worse, feels absolutely no remorse in killing/maiming in order to prevent Gus from continuing to do so. While the best answer is of course the finding of and then administering punishment in a manner suitable to the crime, to the person who did this, that is not reality – the perp is most often never found in these and similar cases such as poisonings. Of course it is possible (anything is possible!) but very unlikely that Gus would have been shot had he been confined to his own yard. I know that this still does happen as there are some truly sick individuals about but still, had Gus not given this person the impetus to act in this manner, chances are greater that it would not have happened at all. We may not be able to change other people, but we certainly can change ourselves and hence the actions of our pets with respect to preventing them from trespassing upon another’s property and raising their ire.